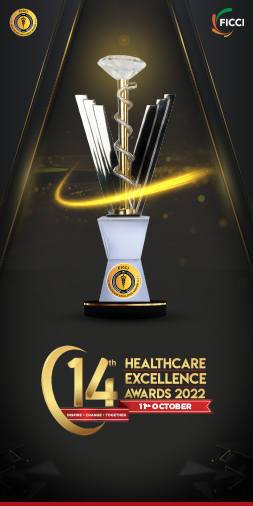 The FICCI Healthcare Excellence Awards was conceptualised in 2009, with an aim to felicitate organizations and individuals for their contributions to the industry by innovating for increased efficiency, affordability and improved performance of healthcare delivery at large. The FICCI Awards have emerged as the definitive recognition for contribution to healthcare in the country over the years based on Innovation, Sustainability, Impact and Scalability which forms the four criteria’s for evaluation. Indian Healthcare industry is growing at a tremendous pace owing to its strengthening coverage, services and increasing expenditure by public as well private players, however, there is no dearth of challenges as India lags the world averages in key health indicators, health infrastructure and manpower compared to the developed world, and hence organizations who through their innovative solutions are able to address these challenges, should be recognized and encouraged. Keeping these imperatives in mind, and continuing with the legacy to recognise the contributions of those who have set benchmarks of excellence in the healthcare space, and thereby helped the society at large, FICCI is back with its tenth edition of its annual Healthcare Excellence Awards. FICCI’s Healthcare Excellence Awards 2018, is scheduled on August 30, 2018 at The Le Meridian, New Delhi. Innovated for the betterment of the Industry. Increased efficiency and improved performance of healthcare delivery at large.